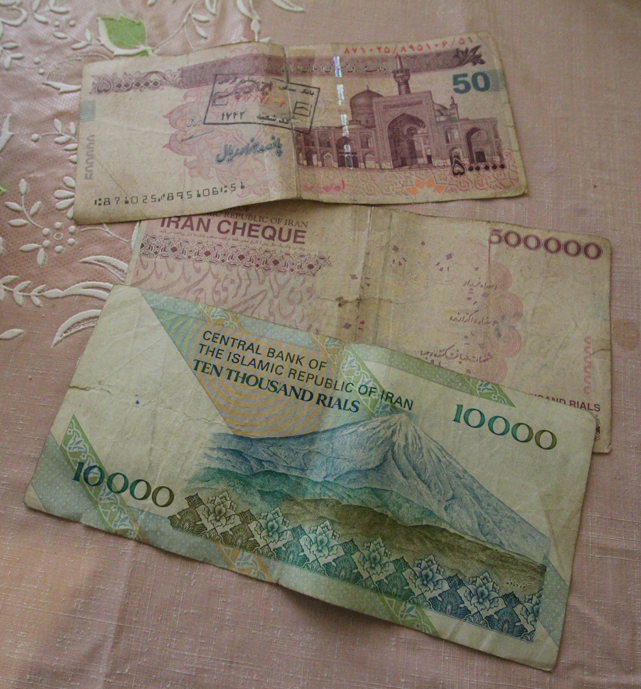 1,010,000 rials – enough for 5 long distance bus trips. Or about 30g of caviar. The currency in Iran seems at first to be one of those things deliberately designed to deceive tourists into parting with their money. Then you remind yourself there are few tourists to confuse, and no one seems to ever rip you off. But as a foreigner, no matter how confident you get with the place, you still find yourself at a shop offering far too little, or far too much, and a shopkeeper will, embarrassingly, reach into your wallet and pull out the required notes himself. It takes a solid 10 days in this country to go through the process of being thoroughly and completely confused. 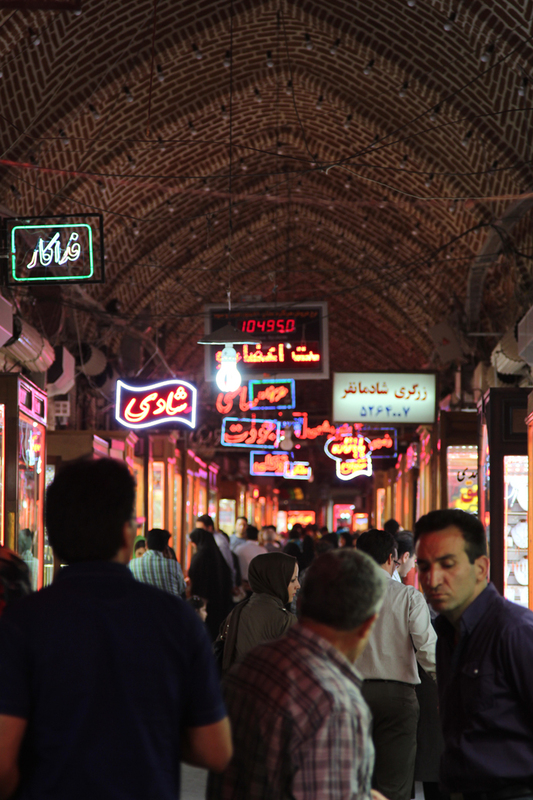 The gold bazar in Tabriz, where they’ll quote US Dollars without asking. 1. Check xe.com for the Iranian rial (IRR) to US dollar (USD) rate. Then ignore it. The real rate is 3 times that. 2. The rial is the currency, but no one quotes rial prices. People talk in tomans, an unofficial unit. One toman is 10 rials. 50g of caviar, roughly a week’s wages for a professional here. 3. The currency is so low, that very few things can be bought for less than 1000 tomans, or “hezar toman”, so often “hezar”, the word for “thousand”, is omitted when they tell you the price. Sometimes they leave out the “toman” too and just quote a 1-, 2- or 3-digit number. 4. This would be manageable if you knew the rough value of whatever it is you’re buying. But the relative value of things here is nothing like in Australia. A 6-hour air-conditioned bus trip (with complimentary snacks) costs 18,000 tomans (5-6 USD). Adobe Photoshop photo editing software costs 1000 tomans (30 US cents). But a flashdisk, to save Photoshop on, still costs about 150,000 tomans (~40 USD). A full tank of petrol – 40,000 tomans (~11 USD). A cup of tea from a chaykhaneh (teahouse) is usually around 1000 toman (30c), but in upmarket parts of Tehran you could be charged ten times that in a European-style cafe. 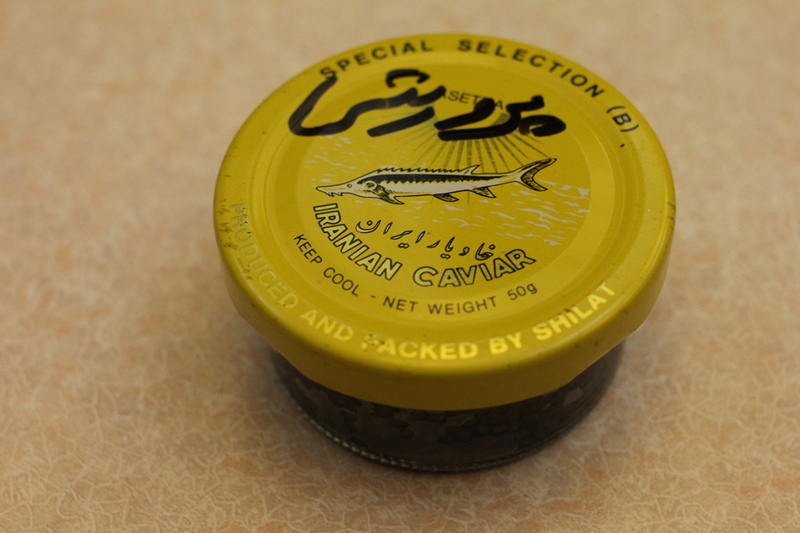 Just 50 grams of locally-caught caviar costs 150,000 tomans, or the equivalent of nearly 4 tanks of petrol. 5. Finally, it’s possible that if they know you’re a foreigner, in certain places like carpet and jewellery shops, they’ll quote prices in US dollars without making it clear. 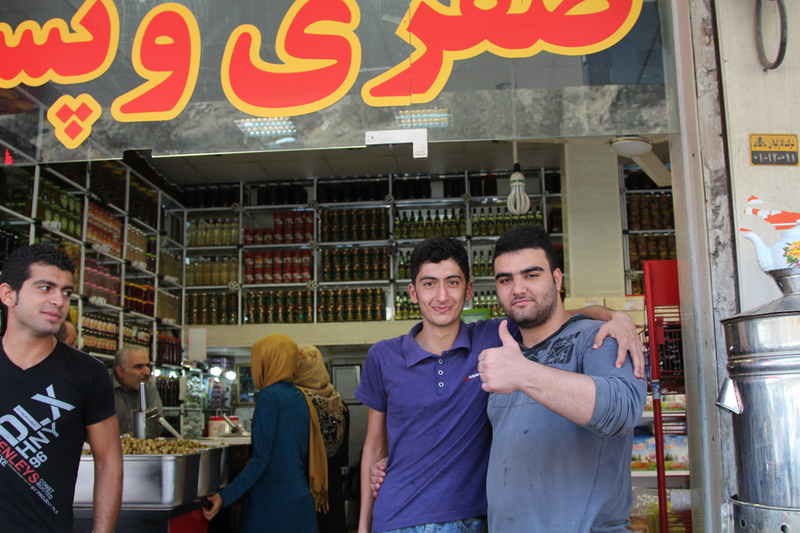 The lads at the olive shop in Rudbar, between Lahijan and Tehran. On the long drive from Lahijan near the Caspian Sea to Tehran, we bought 1kg of olives, 4 boxes of cookies and a bottle of water. The man behind the counter simply said “si o panj” – “thirty five”. Thirty five what? What’s the value of a kilo of olives and locally-baked cookies? Thirty five rials? No way, that’s a fraction of a cent. Thirty five tomans? Doubt it, that’s only one cent. Must be thirty five thousand tomans, then. Three hundred and fifty thousand rials. Ten dollars. Is that cheap? I have no idea any more.